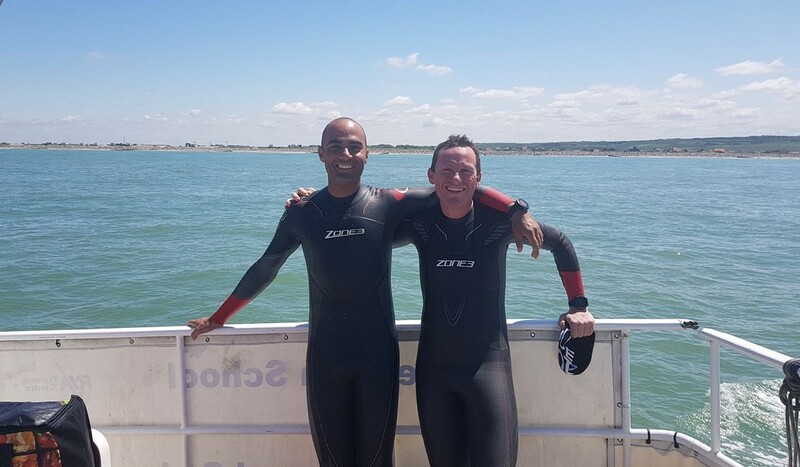 Mayank Vaid and David Gething reached the Arc de Triomphe in Paris early on Friday morning [Hong Kong time] after an epic run, swim and cycle from London that totalled 463 kilometres. The swim across the English channel was particularly hard. The pair were unable to train in cold water, so the temperature sapped their energy. Then only a few kilometres off France disaster almost struck. But there was still cycling to come. The pair hopped on a tandem bike and made towards Paris. Vaid, intellectual property director for Louis Vuitton, and Gething, a veterinary surgeon, are raising money for Zubin Foundation and Outward Bound Hong Kong. The former supports vulnerable non-Chinese speaking children with learning disabilities, while the latter helps children find their potential outdoors.